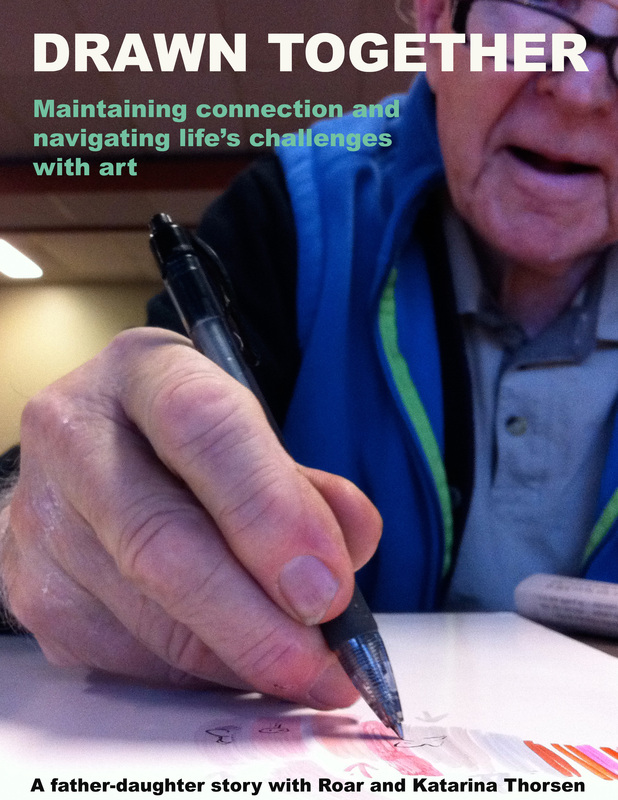 My father Roar’s art provided him with a much needed connection to the world after a debilitating stroke. 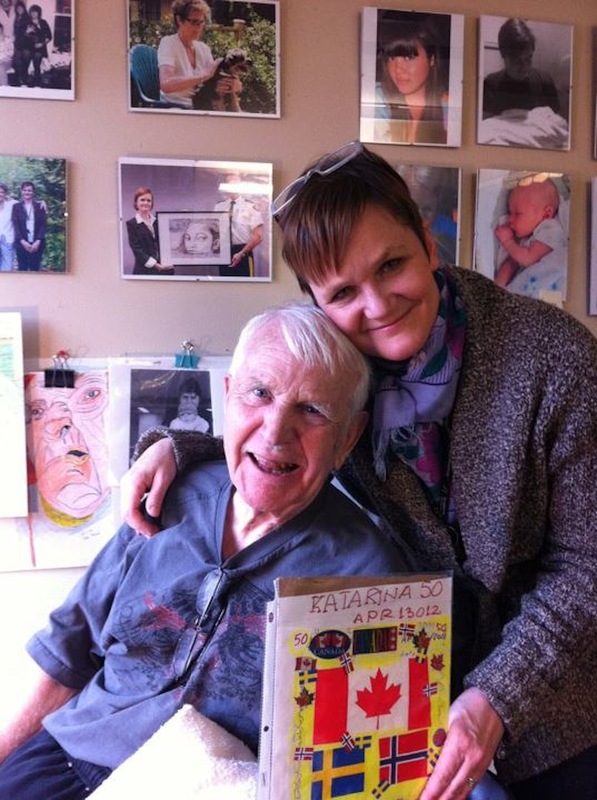 Roar and I were an amazing father and daughter team and we longed to create a book together about our deep and authentic relationship and his time in extended care. So… HERE IT IS. 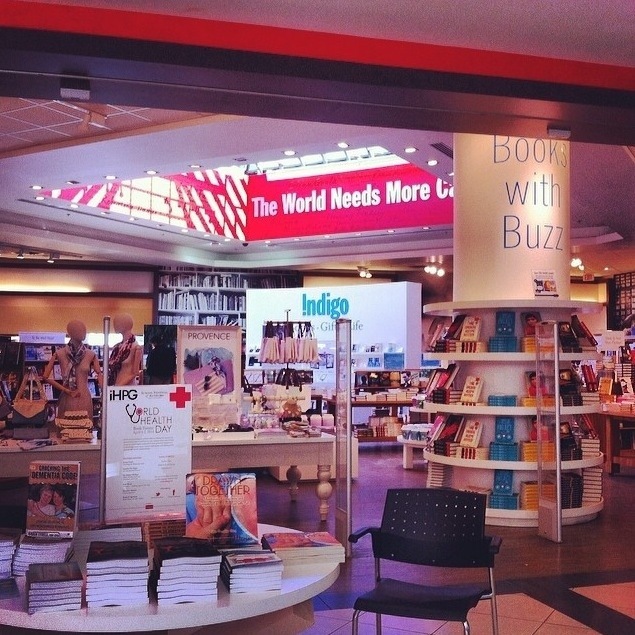 OUR BOOK. OUR BOOK. Can you believe it? After all the coffee meetups and work sessions with my father, all the joy and camaraderie, and pain and tears, and laughter and art making- we made it! 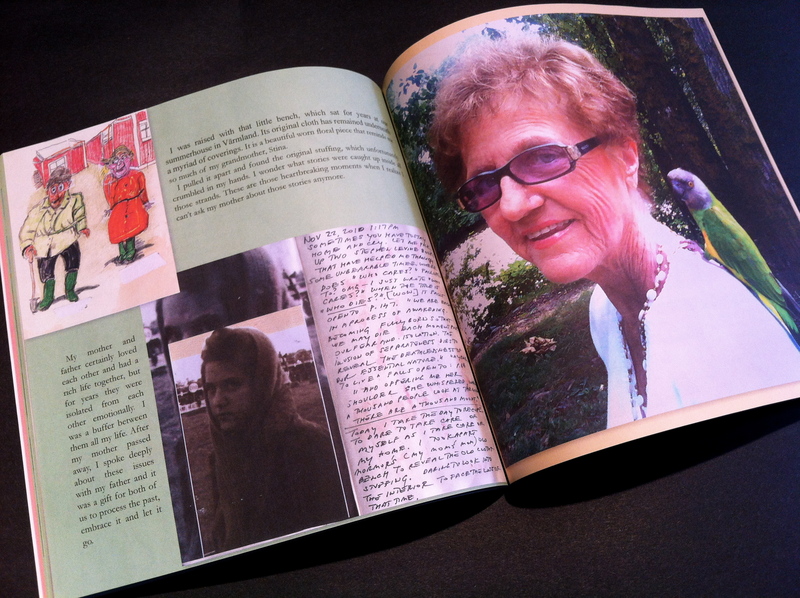 The book was originally released through INFLUENCE PUBLISHING in January 2013. I have now made a PDF VERSION AVAILABLE here in celebration of my father and his desire to share our story with the world! We all have dreams, but few of us ever realize our ambitions by putting the wheels in motion to self actualize. This fascinating book documents the remarkable life of Roar Thorsen and the love and devotion his daughter, Katarina shared. 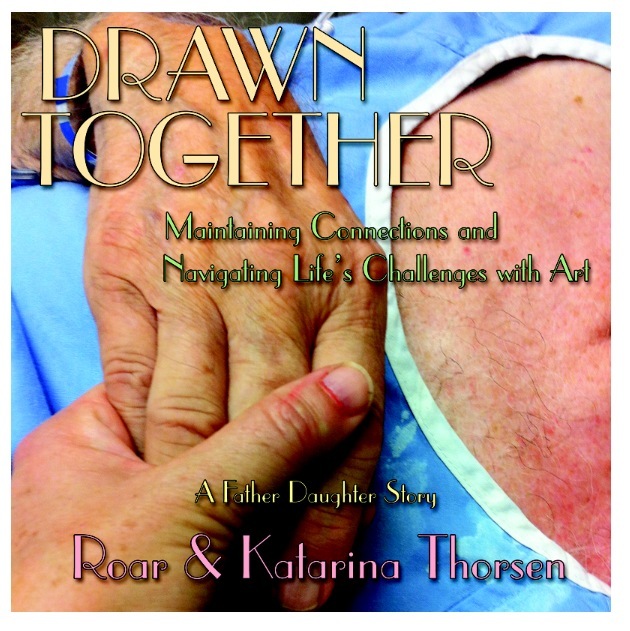 When Roar became terminally ill, Katarina chose to celebrate the time they had together, by navigating the challenges her father faced by encouraging him to draw the feelings he was having greater difficulty communicating verbally. 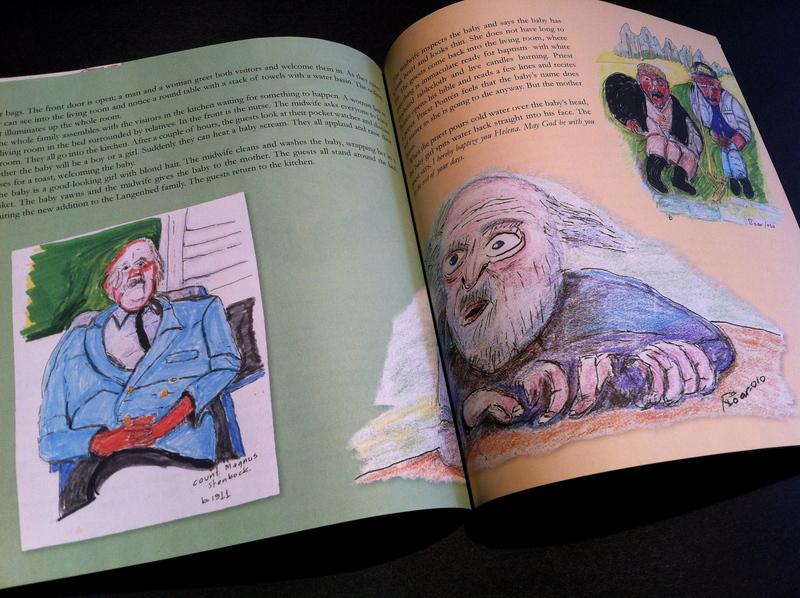 By journalling, photographs and intense drawings, we become party to a wonderful father/daughter relationship and the gradually slipping away and transitioning of Roar’s life energy. Far from being sad, the life affirming energy found within the pages of this book touch the reader on many levels. If life is not the beginning and death not the end, it is what happens in our lives in-between these bookends that make our lives matter, and memories of our deeds outlive our time on this plane. 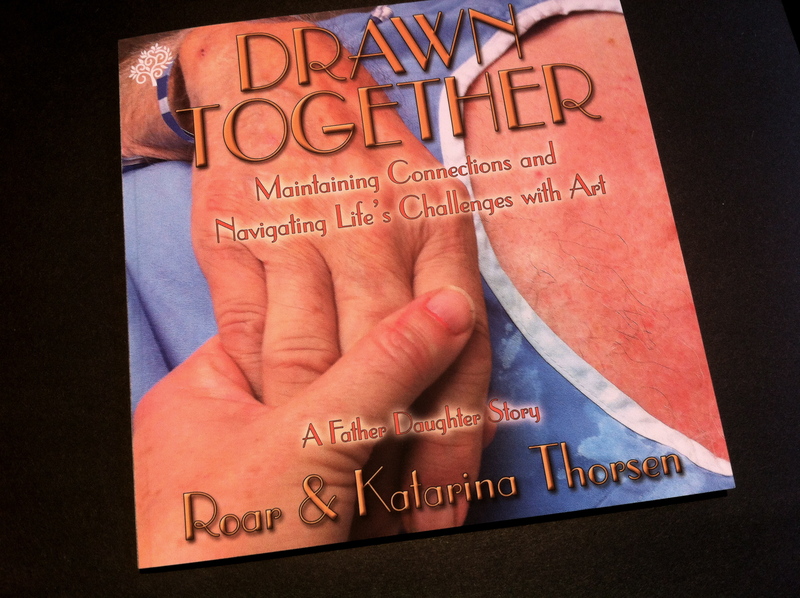 Much more than a glimpse into Roar and Katarina’s relationship, this book acts as a roadmap for others to reach out to their loved ones and enrich those connections. 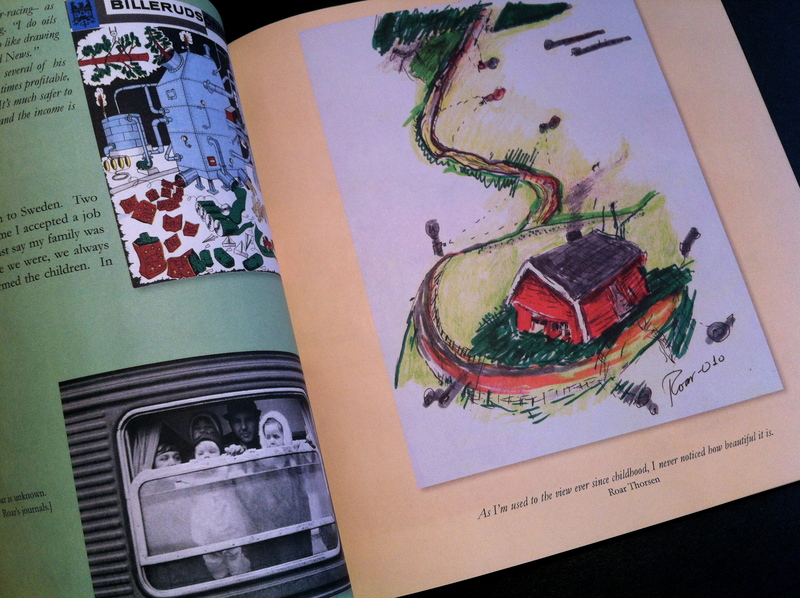 This lavish illustrated book speaks volumes by use of bright, upbeat original art which is sure to delight and inspire the reader. So what you’re saying here basically is that the whole family is artistically inclined. Ridiculous. I’m going back to brooding. I can’t wait to see your father’s book. 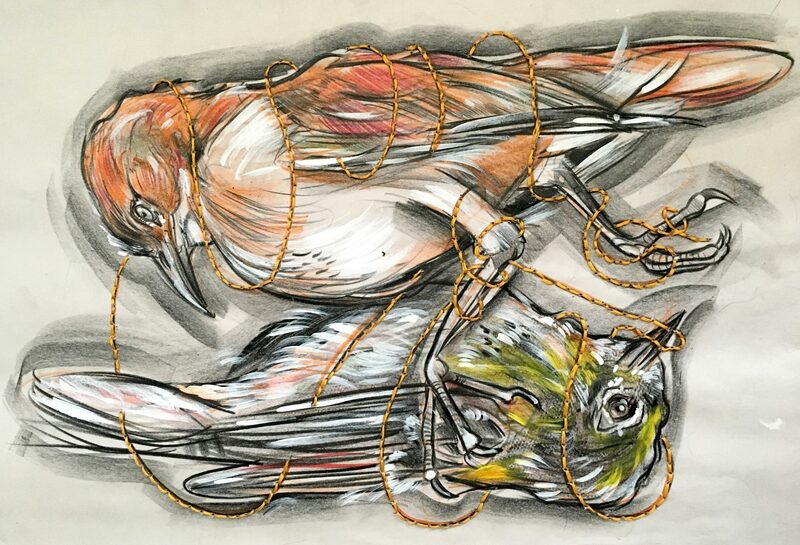 I mean, this is a really spectacular project, is it not? It’s completely original and amusing to the max and incredibly inspiring. love. AMAZING!!! I am so inspired… They are amazing – I love the cat at the end. Each character has so much PERSONALITY – I can almost smell them! this. 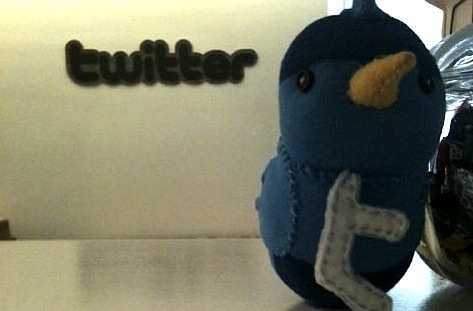 I will be following your rss so i don’t miss out the good things! once again, terrific web page remember to keep it up! Please pardon me if my english is not good. I knew Roar many years back when he was consulting on projects for the forest industry in Alberta. He was extremely knowledgeable about mechanical applications and his opinions carried considerable weight in the decision making process. Mostly though, I remember a kind and gentle man with a great sense of humour – I spent several lunches at his “office” in North Vancouver (Coach House) sharing a table and some laughs over a beef dip. Unfortunately, as happens I lost track and was just thinking of him and now learned of his passing. I will miss him.